You are currently browsing the tag archive for the ‘Confederations Cup’ tag. Two of the worlds most powerful teams are warming up for the Confederations Cup with games against Haiti. Spain beat them 2-1 on Sunday in Miami and the Haitians acquitted themselves well. Tonight they play Italy in Rio de Janeiro in a rematch of what was one of the most memorable World Cup games ever. In 1974, Italy were among the favourites to win the World Cup and Haiti were playing in the tournament for the first and only time. Italy had gone two years without losing and famed goalkeeper Dino Zoff had not conceded a goal in 1142 minutes, then a world record. Twenty years later I lived in Haiti in 1994 and one of the highlights of the year was the World Cup. When I arrived in Port-au-Prince in 1993 we got around six to eight hours of electricity a day, usually from around midnight to sunrise. Then, at the start of 1994 the supply dried up. In some weeks we got just three hours, just enough to charge a car battery we used to power our laptops. When the World Cup started we realised why. The military dictators had been rationing electricity in order to ensure there was enough during the World Cup. For a whole month we got 24 hours of electricity a day. The reasoning was this: Haitians will put up with a coup and indescribable hardships. But they won’t put up with missing the World Cup. Things have changed in Haiti and not always for the better. But one thing that hasn’t altered is reverence for the late Emannuel Sanon. Or memories of that amazing day in Germany. The Confederations Cup is less than a week away and preparations have been fraught, to say the least. Only two of the stadiums were delivered on time and some of the others are still less than finished. The delivery of tickets has been chaotic. And huge question marks remain over airports and public transport. But in the parallel world of Brazil’s Sports Minister Aldo Rebelo, a man who thinks public transport in London is as problematic as in Brazil, the preparations have been just hunky dory. “I’d give us a nine (out of 10),” Rebelo said on a conference call with foreign media yesterday. “We’ve been able to deliver all the stadiums but we could have delivered them sooner to allow for the realisation of more test events. Lord knows what mark he’d give himself for World Cup planning. Time will tell…. Luiz Felipe Scolari just announced his squad for next month’s Confederations Cup and it’s characterized by brave choices and an onus on youth. Both Ronaldinho and Kaka have been left out, with the former omission particularly surprising given that he has been in sparkling form with his club Atletico Mineiro. 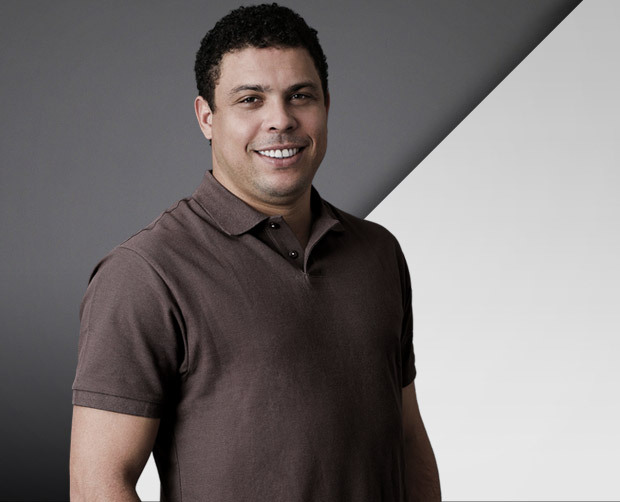 I think he’s right to leave him out because Ronaldinho has failed to show not just his club form in a yellow jersey, but also failed to show the same appetite for the game. However, if Brazil don’t do well, the screams for his return will become deafening. The big surprise is the inclusion of Bernard, another Atletico Mineiro player. The tiny attacking midfielder has been one of the stars of Atletico’s Libertadores campaign. I think his inclusion is as much about preparing him for the World Cup than it is about the Confederations competition. Felipao pointedly stated that he wants to give Bernard the experience of a big tournament before next year. Lucas, now of Paris Saint-Germain, and Chelsea’s Oscar, are two other youngsters called up. Among the other brave decisions are the exclusion of Ramires, which I think is a mistake, and the inclusion of Leandro Damiao. The internacional striker has lost some of his gloss recently but Felipao likes an old style No. 9 and Leandro Damiao fits that bill. Brazil still look weak at the full back positions, especially if Marcelo and Daniel Alves get injured. I don’t rate either of them too highly and Marcelo is always liable to lose the rag. Brazil play England in a friendly at the Maracana on June 2 and then face France in Porto Alegre a week later. The Confederations Cup kicks off on June 15. There were seven managers who spoke at the Confederations Cup draw this Saturday but the star was home grown: none of them had a fraction of Luiz Felipe Scolari’s charisma or charm. You can argue whether Felipao is the right man to lead Brazil to the next World Cup or not but you can’t argue he’s not a better salesman for Brazilian football than his predecessor Mano Menezes. I think Mano was dealt a rough deal as his teams were starting to play good football. And Felipao’s track record has been mixed since Brazil won the World Cup under his tutelage in 2002. But many people reckon Felipao was brought in as much for his ability to rally the troops as for his tactical nous. He proved that today, with a series of smart, entertaining and intelligent comments after the draw was made for the 2013 Confederations Cup. The managers of the other six nations – Uruguay’s Oscar Tabarez apart – were dull and boring in comparison. Here’s a quick piece I bashed out on deadline citing some quotes from Felipao. The full story can be found here at Reuters.com and the bigger story of the draw is here. 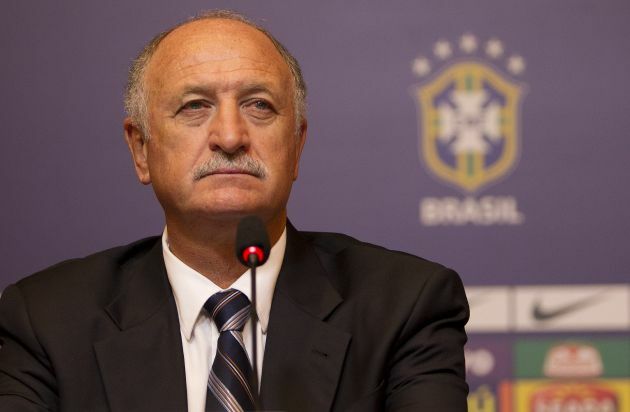 SAO PAULO, Dec 1 – New Brazil manager Luiz Felipe Scolari welcomed a tough Confederations Cup draw that pitted his team against Japan, Mexico and Italy and said failure to win next June’s tournament does not mean his side cannot lift the World Cup on home soil 12 months later. Scolari, who was last week appointed Brazil manager for the second time, denied Spain was the hot favourite for the World Cup warm-up and said he aims to put together a team that will excite home supporters. The draw for the tournament was made in Sao Paulo on Saturday morning, with Brazil drawn against Japan in the capital, Brasilia, on June 15, Mexico in Fortaleza on June 19, and Italy in Salvador three days later. The other group comprises Uruguay, World and European champions Spain, the tiny Pacific island nation of Tahiti, and the yet-to-be decided champions of Africa. The former Chelsea and Portugal coach pointed out that Brazil won the last two Confederations Cups but crashed out of the World Cup at the quarter-final stage a year later. Scolari said belief is an important factor, and getting home fans behind the team is a key challenge over the next 18 months. Brazil’s fans are as fickle as they are demanding and they have not shied away from booing their own players if they are not winning in style. Felipao said he wanted people “to believe more, to feel more for the team, to go to stadiums”, and said the team will do its bit to bring a happier atmosphere to Brazil matches. “We will look into how the players — they are, after all, the ones carrying the flag — can bring back an atmosphere of joy and friendliness,” he said. The World Cup will take place in 12 Brazilian cities in June and July 2014. Brazil has not hosted the tournament since 1950, but it is the only team to win the World Cup five times. FIFA’s Secretary General Jerome Valcke published his regular column today and in it gave the strongest hint yet that Recife will be cut from the Confederations Cup. Next Thursday, FIFA will announce the cities that will host the tournament. So far, six are on the preliminary list: Brasilia, Salvador, Recife, Belo Horizonte, Fortaleza and Rio de Janeiro. Recife is the big question mark because builders say it will be ready in February, only four months before the tournament starts. “This is a crucial moment for us organisers because once the ticket sales start it would be very problematic if a venue runs into challenges to be ready to host matches. And here I need to repeat myself when we speak about readiness. We do not mean the day of the tournament kick-off but with enough time to stage at least two proper test events. That is also why we always reiterate that the venues for the major FIFA tournaments need to be ready six months ahead of the first game. 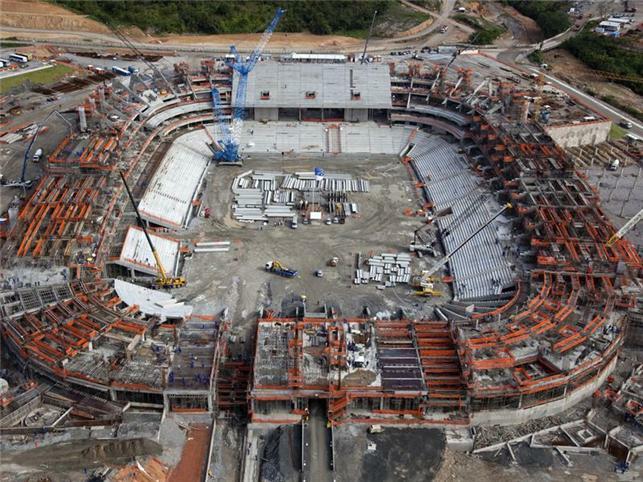 I mention the construction of the Arena Pernambuco in this recent Reuters piece. I visited the stadium last week and it looks like it will be great, with steep stands and a cauldron atmosphere due the fact that the fans are on top of the players. It would be a shame if it is not ready in time. But all will be revealed next week.